The timeless, bold and sculptured features of the La Scala Strap Bar Stool create a classic and handsome look your guests will love. 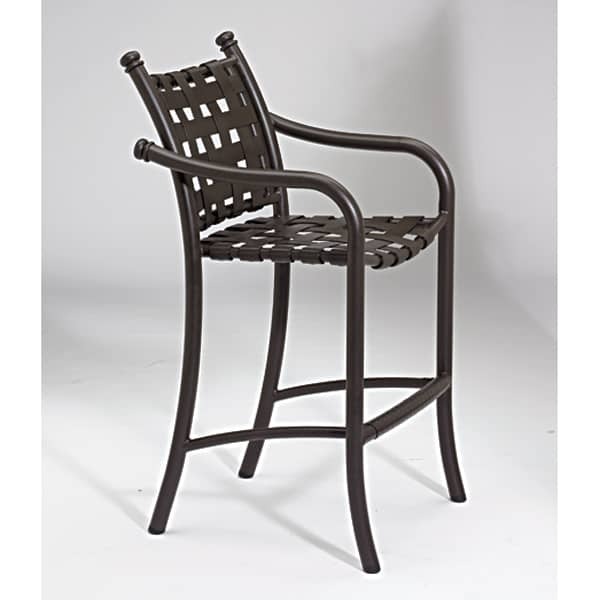 This Outdoor Bar Stool showcases lines and curves of durable extruded aluminum, perfect for indoor or outdoor spaces. 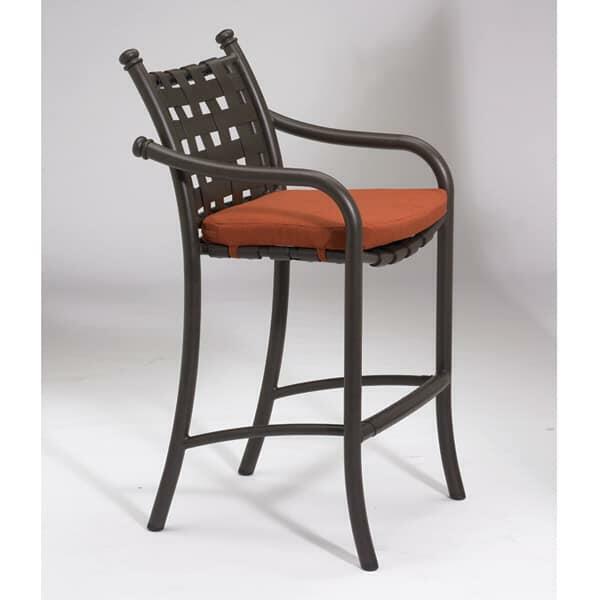 This classic design is accented by comfortable straps, and with an added seat cushion, provides incomparable comfort. Tropitone's commercial-quality production processes ensures this piece of Outdoor Furniture can withstand snow and rain, so chipping and fading will be a thing of the past! 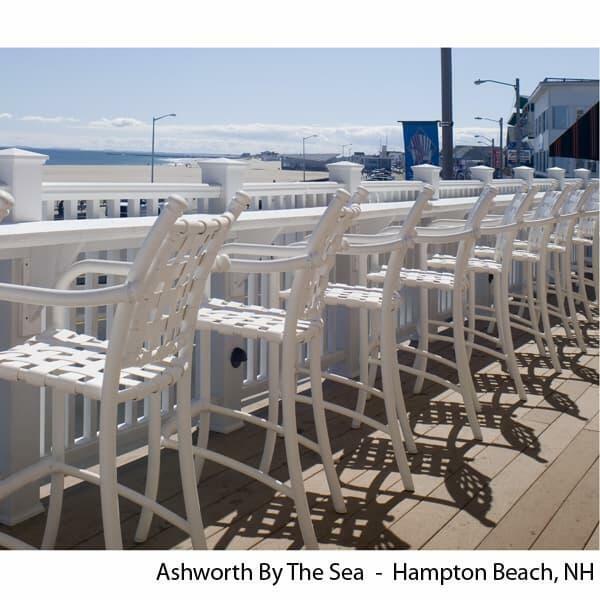 Perfect for any venue, residential or commercial, La Scala Patio Furniture can be seen at the historic Ashworth By The Sea hotel in New Hampshire!